HomeChampions LeagueWhat Should Be Manchester United’s Goals For The Champions League This Season? What Should Be Manchester United’s Goals For The Champions League This Season? While the international break is still on, Manchester United are slowly preparing for the new challenges ahead of them. Seven days from today, Man United will visit Vicarage Road and play against the 100 percent successful Watford. The Hornets have won all 12 possible points in the opening four rounds, but right after that, United will travel to Swtizerland, to play their champions Young Boys in Champions League action. And the Champions League is a competition many Man United fans would want to see their team improve in. Last season was not great, and those before were even worse, as the Red Devils missed two seasons in Europe’s elite competition. The fact is, ever since those glory days of three Champions League finals in four seasons, Manchester United have found it really hard in this competition. In Sir Alex Ferguson’s final two seasons at the helm, United have done poorly. In 2011-12, the Devils were expected to go far in Champions League and instead, they finished third in their group, going in Europa League, losing to Athletic Bilbao in Round of 16. Next year, the team got to Round of 16 of the Champions League, as Real Madrid got through to the next round. 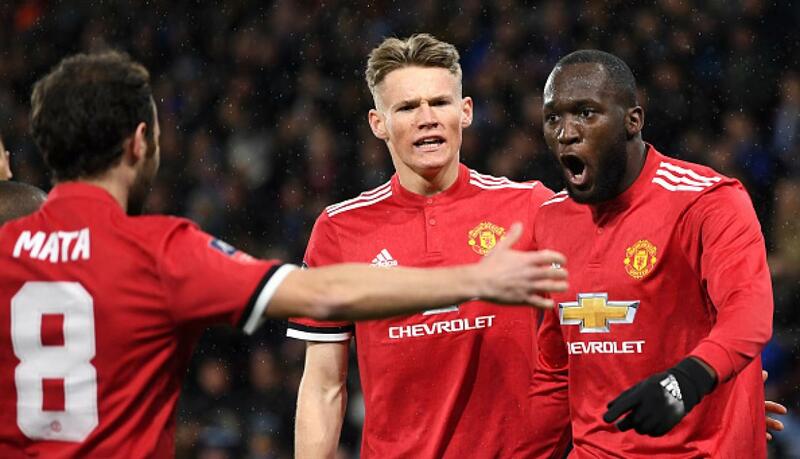 In the following five seasons, Manchester United reached only one Champions League quarterfinal, which sounds incredibly bad. Sure, the Devils did manage to win a Europa League, but that was also in a season that everything fell on winning that competition, as United were tumbling to the sixth place in Premier League. Last season was particularly unimpressive. After heavy investments in the team during the previous summer, United got into a very easy Group A with Basel, CSKA Moscow and Benfica. They won 15 points from 18 available, but still did not excite anyone particularly. It was Sevilla then in Round of 16, in a season where United could have drawn teams such as Bayern Munich, Juventus or Real Madrid. And still, United somehow managed to give this tie away. First leg, played in Spain was a 0-0 draw in which the hosts were the better side, while at Old Trafford Sevilla saw United off with a 2-1 win. It was, all in all, a disappointing campaign for the English giant. So, in conclusion, Man United have been seriously underperforming their possibilities in the Champions League ever since that Wembley final loss in 2011. Just one quarterfinal in the following six seasons is simply not good enough and Jose Mourinho must address this. The team needs to concentrate on doing well in the Premier League, but not at the expense of the big European nights. Old Trafford is eager to feel them again, to get into the final stages and see their boys tested against continent’s best sides. In a group with Juventus, Valencia and Young Boys, United will be tested too, but the team should go through. Valencia have not really started the season as they were expected and the Swiss side is obviously the weakest team. What United would do afterwards could define the season. If the team does not win the Premier League, a good run in the spring could make all the difference. A quarterfinal feels like both minimum expectations and a reasonable result, bearing in mind everything that has happened in recent seasons. Going further than that would only remind everyone in Manchester United how it feels to challenge for the Champions League.